After graduating with a degree in Physics from Imperial College, Robin Hart joined BP where he worked for five years as part of a team developing a new generation of thin film solar cells. Based in Sunbury and Madrid, he was responsible for measuring the degradation of the new devices. Robin then returned to university at Bristol, undertaking first a Masters degree in Advanced Electronic Materials, followed by a PhD researching novel Giant Magnetoresistive films. On completion of his studies he moved to Cambridge to work in R&D for Oxford Instruments, first on the fabrication of superconducting devices as part of a collaboration with the European Space Agency, and then managing a business stream building advanced instrumentation for the NMI community in partnership with NPL. In 2004, following an MBA at Imperial College, where he specialised in identifying the critical success factors in new corporate ventures, Robin joined NPL as Team Manager of the Photonics and Time team. He has since led both the Electromagnetic and Materials Divisions before being appointed Director of Programmes in 2011. 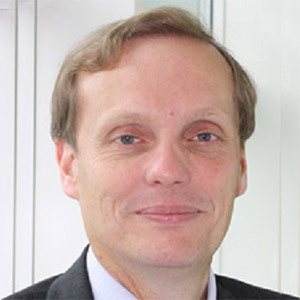 Robin was appointed Strategy Director on 1 January 2017, with responsibilities for NPL's four main focus areas: Advanced Manufacturing; Digital; Energy and Environment; and Life Sciences and Health.